ROCKVILLE, Md. – The leader in title agency partnering, Passport Title Services, LLC, announced it has achieved independent, third party certification of its compliance with the American Land Title Association’s Title Insurance and Settlement Best Practices Framework (“Best Practices”) from HA&W, LLP, the largest national accounting and business advisory firm offering a full-suite of risk mitigation services to the title industry. “Passport Title invests significantly in management attention, expertise and budget to ensure that our operating model fully complies with Best Practices,” said John R. H. Cotter, president and chief executive officer. Passport Title’s approach to Best Practices implementation and on-going monitoring is based on the Company’s industry-first partnership model. 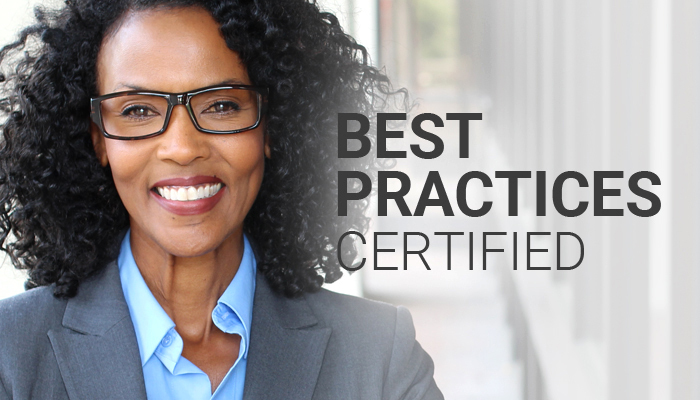 Passport Title’s Best Practices program extends to its existing community of title agent partners and to title agencies and individual attorney and lay title agents when they newly choose to partner with Passport Title. For example, Passport Title partners access turn-key, SSAE 16 SOC 2 certified technology regardless of their location, which fulfills – and exceeds – many of the Best Practices requirements around privacy and information security. Also, Passport Title deploys a proprietary suite of software tools to measure and monitor key settlement process metrics that are required by Best Practices. Passport Title Services, LLC, (doing business as Passport Settlement Services, LLC, in Pennsylvania) is a Best Practices certified title insurance agency and real estate settlement company exclusively focused on title agent partnerships since 2008. Passport Title Services, LLC, provides commercial and residential settlements and is a licensed title insurance agency in Maryland, Virginia, Washington, DC and West Virginia; and Passport Settlement Services, LLC, is licensed in Pennsylvania. Originally established in 2005, Passport Title is privately held and independent. For more information, visit us at www.passporttitle.com. HA&W, LLP, is the leading CPA firm in the nation providing ALTA Best Practices compliance benchmarking, readiness and reporting. HA&W expanded its services to the title industry through the creation of its Title Industry Services group to help agents, underwriters and lenders realize profitable growth by managing risk and improving business operations. HA&W provides services to address the specific needs of title professionals including ALTA Best Practices compliance testing and reporting, enterprise risk management programs, forensic investigations, internal audits, cyber security planning and certifications, vendor management, business valuations, merger & acquisition due diligence, succession planning, wealth management and traditional tax and accounting services. Passport Title is proud to serve a growing community of title agents and attorneys.